Music based video games have become iconic over the last few years and Andrian Grow’s personal game room serves as mecca for lovers of thumping bass, dazzling light shows, and fleet-footed dance steps. 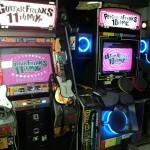 Made up of two uniquely shaped rooms inside a barn, Adrian’s game room is appropriately named The Game Barn and features one of the largest private collections of music based coin-op games in the country. 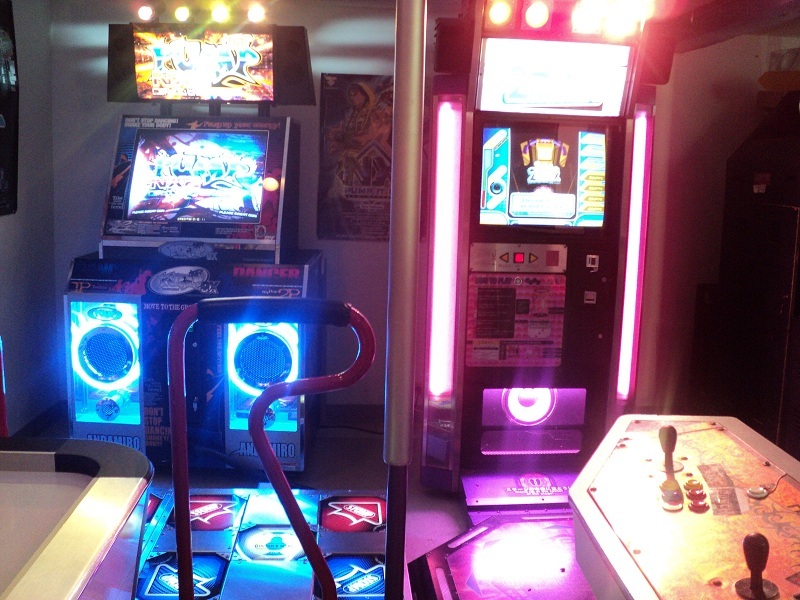 I started talking with the director of the Student Activities Center about acquiring a license so I could place a DDR machine at the school. I showed them the statistics of what DDR machines earned, who played on them, and how regularly. After some negotiations, they agreed to let me try. 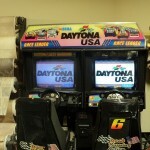 I formed what was probably the first and only non-profit organization for coin operated arcade machines. I actually had the state tax dept call me and talk with me for over an hour while I explained to them how things would work! 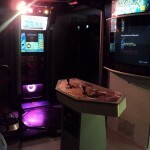 Basically, we formed a school club that ran the DDR machine and met once a week for free play and other activities. I made the risky move of placing the entire cost of the DDR machine on a credit card, knowing that the machine would pay for itself given enough time. The school cut me a break for the first year (75/25 profit sharing) so that I could pay for the machine.It didn’t even take six months before it was paid for. 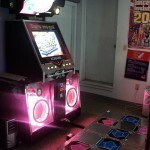 Within a few months the machine paid for itself and the club started using the money to fund DDR tournaments and travel for club members to participate in local and out of state tournaments. 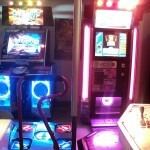 That original DDR machine, the one that started it all for Adrian’s collecting passion, came home to join his personal collection a year after his graduation. It now stands in the Game Barn, a monument to what a little hard work and creative thinking can accomplish. Adrian’s day job is related to providing flooring services and he has found that to be an effective avenue for building his collection. 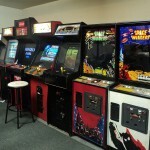 One day we started trading flooring services with an operator for arcades and our collection grew. Not all of my cabinets came from trades but a great deal of them did come from trades with arcade operators, friends and the like. 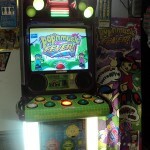 Although the Game Barn features primarily music games, plenty of older cabinets can be found that span nearly 30 years of gaming – from an original Space Invaders to a Pump It Up. 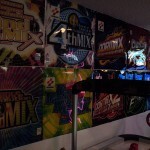 Adrian’s idea on game placement was to segregate louder music based games into one room and keep his other games in the second room for a more classic arcade atmosphere. The entire atmosphere is enhanced by a huge collection of arcade related art that adorns the free space on nearly every wall. 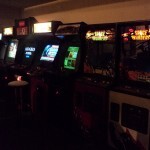 Adrian’s hobby of arcade collecting even provides philanthropic benefits to his local community. I have an Atomiswave and Neo Geo Candy that are currently on loan to my wife’s elementary school for the summer. They have a program where they take care of the underprivileged children during the summer. Every summer, I loan them a few different cabinets of age appropriate games for them to play on. Demonstrating a very pragmatic approach to the hobby, Adrian admits that he doesn’t focus on cosmetics and prefers to concentrate on keeping his games in tip top functional shape. Most of his cabinets have seen a lot of action in their lifetime and instead of spending time and money on restoring them to perfection, he simply collects as many cabinets his space allows and maintains their functionality for their ultimate purpose: to play! If you would like to be featured on the Gameroom Junkies website and earn a free t-shirt, simply fill out the form on our Share Your Gameroom page on our website. Don’t forget to “like us” on facebook, follow us on twitter, or write a review of our podcast on iTunes. 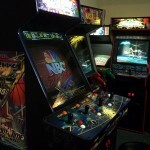 Pinballhead – Pinball News, Reviews, & More!